Nov 20, 2012 Posted by AAfterwit on Nov 20, 2012 | Comments Off on Meanwhile, Just South Of The Mason Dixon Line….. Meanwhile, Just South Of The Mason Dixon Line….. 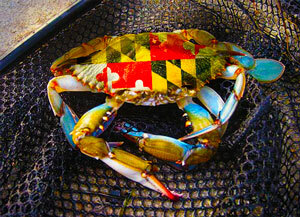 There are some strange things that are happening in the state of Maryland these days. First is the curious decision the University of Maryland Board of Regents made to leave the Atlantic Coast Conference and move to the Big Ten. Err….. the “Big 10 We Can’t Count and Have 12 Members Conference” which is soon to become the “Big 10 We Can’t Count and Have 14 Members Conference” as Rutgers is said to be making the move as well. Maryland is a founding member of the ACC and their leaving the conference is beyond disappointing. The move is simply for money as the Big Ten television contract adds about $25 million dollars to the revenue of each school. Yet there is something wrong about leaving a great conference that you helped found and supported for all these years for a conference that you have no ties to. To us it is like divorcing your wife of 50 years in order to marry a mail order Russian bride whoyou have not seen or spoken to. The Distilled Spirits Council of the United States has told state officials the new increased sales tax on alcohol has had a negative effect on sales in Maryland. David Ozgo, chief economist for the Distilled Spirits Council of the United States, said the sale of distilled spirits in Maryland has grown just two-tenths of a percent in the past year, well below the national average of 3.1%. “Distilled spirits growth in Maryland has been anemic so far in 2012,” Ozgo said. “Nationwide, off-premise sales are up 3.3 percentage points. But here in Maryland, we are actually off slightly. The liquor sale decline in Maryland can be directly associated with the sale increases in neighboring states, Ozgo said. Virginia’s off-premise sales are up 5% in 2012, while Delaware has seen a staggering 8.8% rise. You mean people will go to another state to save money because of a new tax? Who would have ever thought that? Who would have ever suspected taxes affect economic growth? Why was there an increase in taxes? In part it has to do with the need for more revenue in order to cover the mismanaging of funds, mismanaged purchases and theft. It is axiomatic that you can’t screw up budgets and programs unless you have the money and the programs to screw up. Baltimore’s Office of Human Services mismanaged a $9.5 million federal grant for helping the homeless by failing to oversee programs and awarding cash for services that may not have been eligible, auditors announced Thursday. The city wrote an agreement with the United Way of Central Maryland to manage about 93 percent of the money, or $8.8 million. The local United Way would then administer contracts with service providers selected by the city. The auditors say the city paid United Way a prorated amount rather than reimbursing the money based on actual expenses, as the grant required. Mark Furst, president of the United Way of Central Maryland, said the nonprofit was in full compliance with its agreement with the city. One of the service providers, the Prisoners Aid Association of Maryland, could not produce files to show how $270,550 was spent, the audit found. United Way terminated its contract with the defunct organization in July 2011. Another service provider, the Public Justice Center, used stimulus cash to pay its legal staff salaries and didn’t produce time sheets to show their time was spent specifically on tasks allowed under the terms of the grant, according to the audit. It also found that the center did not independently verify whether the individuals they served were poor enough to qualify for help. In all, the Public Justice Center received $336,000. Not only has Baltimore screwed up grant money, they have screwed up what one would think is a relatively easy thing to maintain: the city government’s phone system. Baltimore’s Mayor and the City Comptroller are locked in a political battle over the purchase of the city’s new phone system. The new system is a VoIP (voice over internet) system. The Mayor claims that as the system uses the internet for phone service, she had the right to make the purchase even though historically the purchase of phone systems has been done by the City Comptroller. The Mayor contends that the new phone systems are just “computers with enhanced capabilities” or “computer peripherals.” Complicating the matter is the Mayor has had a business relationship with the company she selected from which to purchase the phones. There is a definite appearance of impropriety there. On other side is the City Comptroller who is saying that not only was there a competitive bidding process that another company won, the winning bid was less than the company the Mayor selected. This has put the Mayor in a bad light so her appointed head of the “Technology Department” did a survey and found out that there are phone lines the city is paying for that it is not using. Each line cost the city approximately $45 which extrapolated out of the course of the year is roughly $2 million dollars the city is paying out for which there is no benefit. It is the Comptroller’s job to know what bills are being paid and to make sure the services are actually received and used by the city. The taxpayers are on the hook for a more expensive system and have been paying the extra money for unused phone lines. And of course, the taxpayers are also paying for the resulting mud slinging that is going back and forth between the Mayor and the Comptroller who has retained a law from to sue the Mayor over statements the Mayor has made. If you are wondering who gets to pay for the defense of the Mayor, that would be taxpayers as well. It could be worse. Maryland State Delegate Tiffany Alston was convicted of stealing $800 from the Maryland General Assembly. The Maryland State Constitution requires that upon a criminal conviction, a delegate is forever barred from serving in the legislature. Alston appealed the sentence of the conviction, and the judge gave her “probation before judgement.” The sentence meant if she did 300 hours of community service and successfully completed 3 years of probation, the now pending sentence and conviction would be wiped off her record. Alston and her attorneys claim that with the revision of the sentence, the conviction does not exist and she wants her seat in the General Assembly back. That action is resulting in a long protracted court case for which the taxpayers are footing the bill. We have to say it takes a lot of gall to be convicted of a crime and then say the conviction never occurred because of a lesser sentence. Which brings us back to the increase in taxes on alcohol in Maryland. Not only does the State want more money to pay for these ridiculous things, but citizens obviously need more alcohol in order to drink and forget the stupidity is even happening.